Cheryl graduated from a Bachelor of Science in Agricultural Economics with first class honours at the University of Western Australia (UWA) in 2012. Her honours project aimed to gain insights into the place and value of crop rotation in the Western Australian wheatbelt as a strategy to manage yield loss from soil-borne disease. This study made use of the bio-economic Land Use Sequence Optimiser model to establish economic outcomes over multiple crop rotations. The model was used to evaluate optimal crop rotation strategies that maximise profits and minimise yield loss from soil-borne disease, weeds and low soil nitrogen levels. Cheryl’s interest and experience with agriculture extends over many years in both Queensland and Western Australia, having worked in horticultural, grain and animal production. 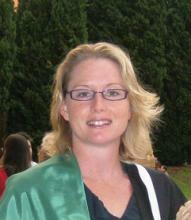 Cheryl is currently working as a Research Associate with the School of Agricultural and Resource Economics at UWA. Her research interests into biosecurity and her enthusiasm for microbiology and disease, coupled with economic foundations and principles facilitates her research into plant biosecurity management and issues.